Building on the success of its daddy the Bialetti Moka Express, the Bialetti Venus is an new version. Answering concerns about cleanliness and problems of using Aluminium as a material, the Venus is circular rather than the traditional octogon shape Moka. 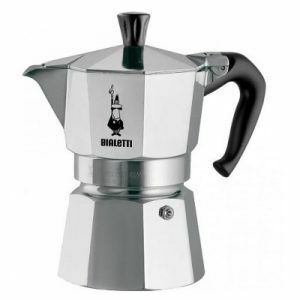 The original stove top espresso was invented by Luigi De Ponti,, or alongside Alfonso Bialetti. 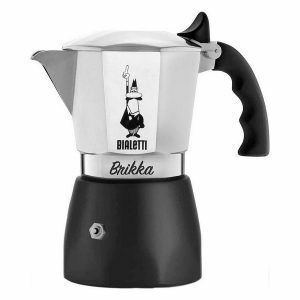 Either way Bialetti acquired the patent of the Moka Express coffeemaker. 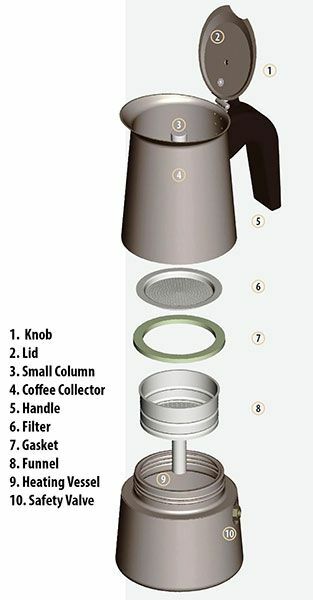 Designed in 1933, the coffee pot has been a style icon since the 1950s. Now this pot is the source of nostalgia and affection for many coffee lovers the world over and is an essential and fashionable part of almost every coffee lovers kitchen. 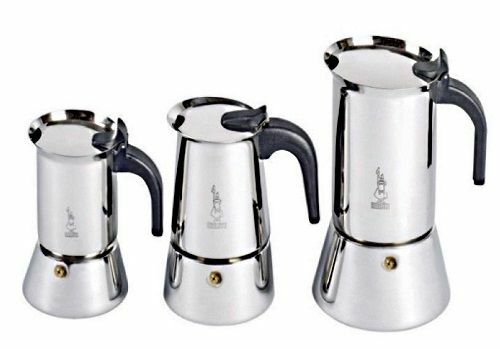 While many variations of the Moka have been developed, the Moka Express is a time-honoured classic. 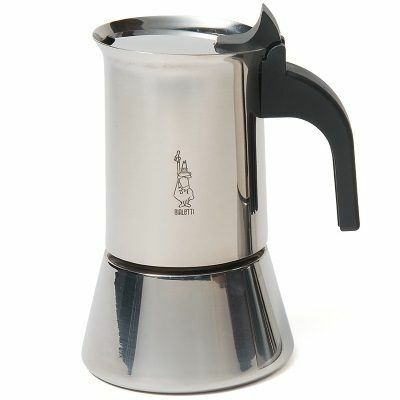 The Bialetti Venus Express like the Moka is a simple coffee maker that requires a heat source, to make great coffee. 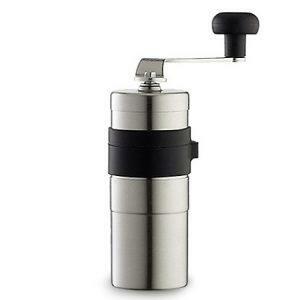 With a little bit of setup you can enjoy a stove top espresso in minutes. Like the Moka Express the Venus comes in various sizes. Each is rated per cup, which is typically around 40g of coffee. So a 1 cup makes 40g of coffee, 2 cup 80g etc. While there is a full range available we only offer the 2, 4 and 6 cup, as they are the most practical. Our favourite is the 4 cup. Select burner size to fit bottom of pot. For gas stove-top, make sure the flame is not larger than bottom of pot. The flame should not come around the sides of the pot. Place pot on the stove-top until the water boils and coffee begins to come out of the centre post. There will be a gurgling sound during this process. Before pouring coffee, stir it in the upper chamber with a small spoon to equalise all the different coffee layers for optimum flavor. Venus mocha pots (or espresso pots) measure each cup as an espresso size of 40ml. If you like a mug of coffee then 40ml diluted with 100ml of water is a medium strength coffee. For a standard mug, that is normally at least 330ml then you should at least 80ml, unless it will be weak.